Never lose out with 888sport! You’ll always get the best price on horse racing at 888sport with Best Odds Guaranteed! Simply, if you’ve taken a price on a horse and your selection wins or places at a bigger Starting Price (SP), we guarantee to pay you at the bigger odds. Best Odds Guaranteed applies to all single, multiple and each-way bets on all qualifying races, every day. So, there’s no need to worry or be disappointed if your horse wins at an SP of 4/1 having taken 5/2 earlier because you’ll get the best odds, guaranteed, as long as you’ve placed your bet on the day of the race! Best Odds Guaranteed applies to all UK & Irish racing for win and each-way singles and multiples but does not apply to ante post bets, bets on international racing (unless stated otherwise), enhanced accumulators, tote pools or any other special markets. 888sport now offers Best Odds Guaranteed on all UK & Irish Horse Racing. If you’ve taken a price on a horse and your selection wins ‘or places’ at a bigger Starting Price (SP), 888sport guarantee to pay you at the bigger price with seconds of bet settlement. Best Odds Guaranteed applies to all single, multiple and each-way bet on eligible races. Applies to UK & Irish Horse racing only. Best Odds Guaranteed applies to customers residing in the UK & Ireland only. Members will only be eligible if the “Best Odds Guaranteed” )BOG( icon is displayed on the betslip before bet placement (players will need to be logged in to view the betslip successfully). Best Odds Guaranteed applies to bets struck on the same day as the race(s) to qualify. Offer is not applicable for Ante-Post bets, Enhanced Offers or Daily Racing Specials. Real money bets only. Free bet stakes and all other bonus rewards cannot be used in conjunction with Best Odds Guaranteed. Offer applies to bets placed on PC & Mobile only. Customers depositing with Moneybookers or Neteller will not be eligible for Best Odds Guaranteed. 888 reserves the right to exclude customers from Best Odds Guaranteed at our sole discretion without prior notice. 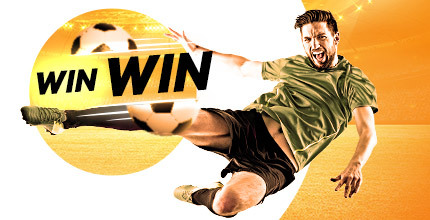 The maximum payout as a result of Best Odds Guaranteed is capped at £/€25,000 per customer, per day across all applicable channels unless otherwise stated. If a dead heat occurs, Best Odds Guaranteed will follow our standard dead heat ruling and the payout would be calculated afters the odds are divided and then multiplied by the stake, irrespective of whether the net payout is lower than the player’s stake. Offer is limited per person, household, computer, IP, emails address & payment details. 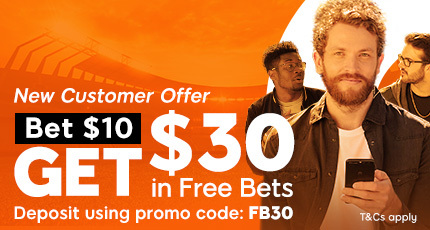 888sport reserves the right to withhold or retract Best Odds Guaranteed payments if winnings are mistakenly credited or patterns of abuse are found. 888sport’s decision is final on all matters relating to the awarding of any Best Odds Guaranteed payment and shall not be subject to review or appeal by any entrant or third party. 888sport reserve the right to suspend, modify or cancel this offer at any stage without prior notice.